This suite only available through volume licensing channels, includes the core applications (Word, Excel, PowerPoint, OneNote), plus Outlook, Publisher, Access and Skype for Business. 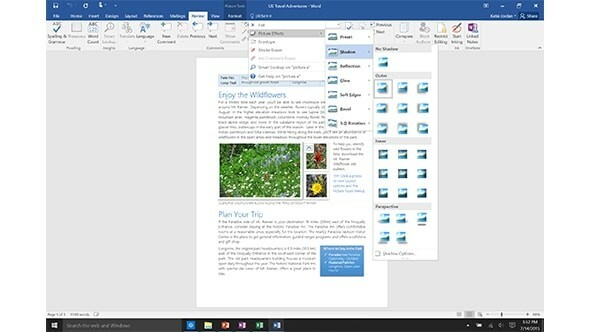 Microsoft Office 2016 Professional Plus — What Is New and Different? 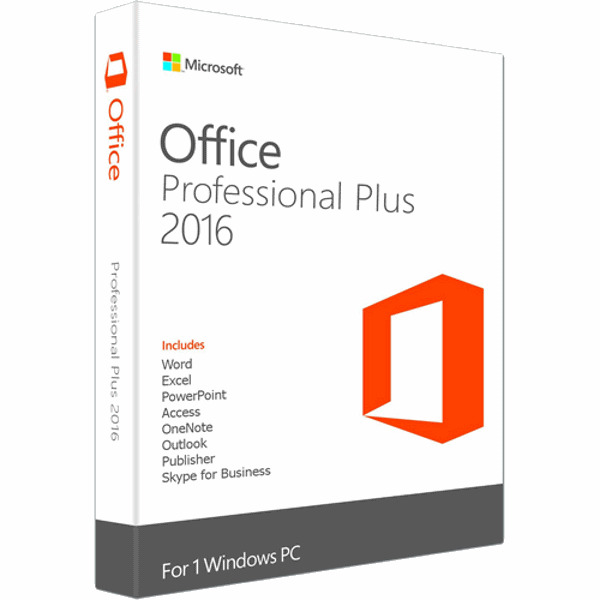 Office Professional Plus 2016: Includes full applications in Office Professional 2016, as well as Skype for Business. With this key you can work like a pro with Office Professional 2016. Best for those who want Office with Outlook 2016, Publisher 2016, and Access 2016 on one PC. Work smarter with "Tell Me": The Tell Me box shows you a list of commands which helps you perform important tasks even if you don't know how to do something. Get Quick Answers with Insights: Insights lets you search for information from within Word, Outlook, Excel, and PowerPoint using Microsoft's Bing search engine. The results appear right in Office, not in a web browser. Collaborate and Declutter in Outlook: Outlook 2016 helps you work more efficiently, collaborate more easily, and manage email overload, including Fast integration with other Office applications, Collaboration with work groups, Cleaning up clutter. New Analysis and Forecasting Features in Excel: Excel 2016 has gotten quite a bit more powerful. New features include Pulling in data from almost anywhere, More charting options, Predicting the future. 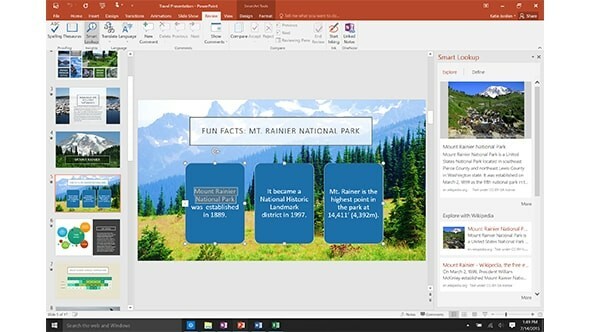 Real-Time Co-Authoring in Word: If several people are working on the same Word document that is stored in OneDrive for Business, real-time co-authoring allows multiple users to collaborate, edit, and update simultaneously. Sharing Becomes Easy: Word 2016, Excel 2016, and PowerPoint 2016 now have Share buttons at the top right of the window. The Ribbon Has a New Look: In Office Professional 2016, the default background for the ribbon tabs is the color of the application's icon. 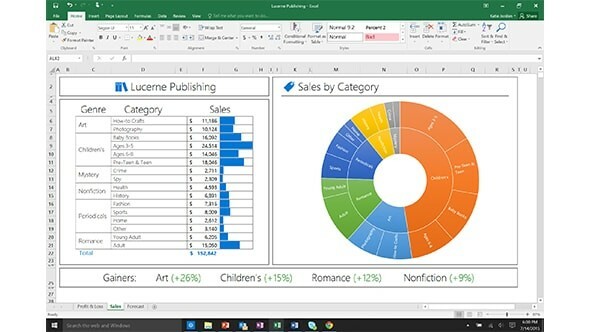 Lync: Office 2016 Professional Plus suite is that Lync is now called Skype for Business. Required video card: 1024 x 768 screen resolution or higher. Graphics hardware acceleration requires a DirectX 10 graphics card. Browser:: Internet Explorer 11, Microsoft Edge, Safari, Chrome, or Firefox. .NET version: .NET 3.5 required. Some Advanced features may require .NET 4.0, 4.5, or 4.6 CLR to also be installed. Very very happy with my purchase here!